Wednesday, November 7th is The Great Coronado Dine Out, a fundraiser with ‘great’ being the operative word. Conceived of by longtime Coronado residents Elizabeth and Stephen Wampler, the day-long event is a partnership of more than 35 local restaurants and businesses who have committed to donating a portion of the day’s proceeds to The Stephen J. Wampler Foundation. 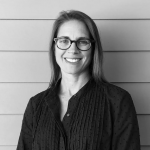 Specifically, in support of Camp Wamp, a summer camp for children with physical disabilities. 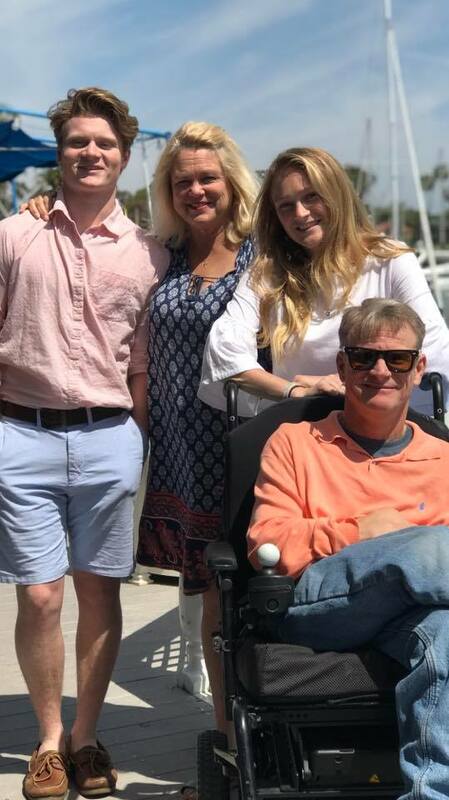 Proceeds from the fundraiser will benefit Camp Wamp, a summer camp for people with physical disabilities, a cause that is deeply personal for the Wampler family. Leading by example, in the life of Steve Wampler, is an understatement. In 2010, Steve became the first person to climb El Captain mountain in Yosemite National Park, the biggest rock face in the world. To bring attention to Camp Wamp and to illustrate that all obstacles can be overcome, he spent 5 nights and 6 days on the sheer face of the mountain, the climb equating to more than 20,000 pull-ups. 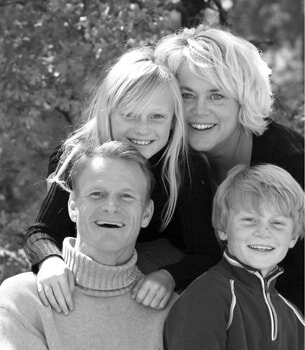 Steve’s story and his remarkable accomplishments are now recognized throughout the world. 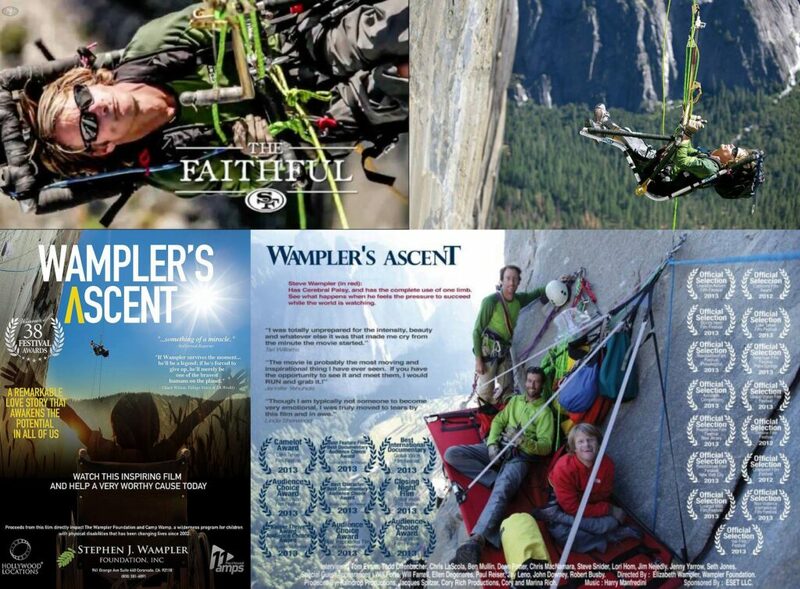 His unprecedented climb was made into a feature-length documentary film, Wampler’s Ascent, which earned dozens of national and international awards and accolades. His story has featured in numerous publications over the years, Ted Talks, and news programs. 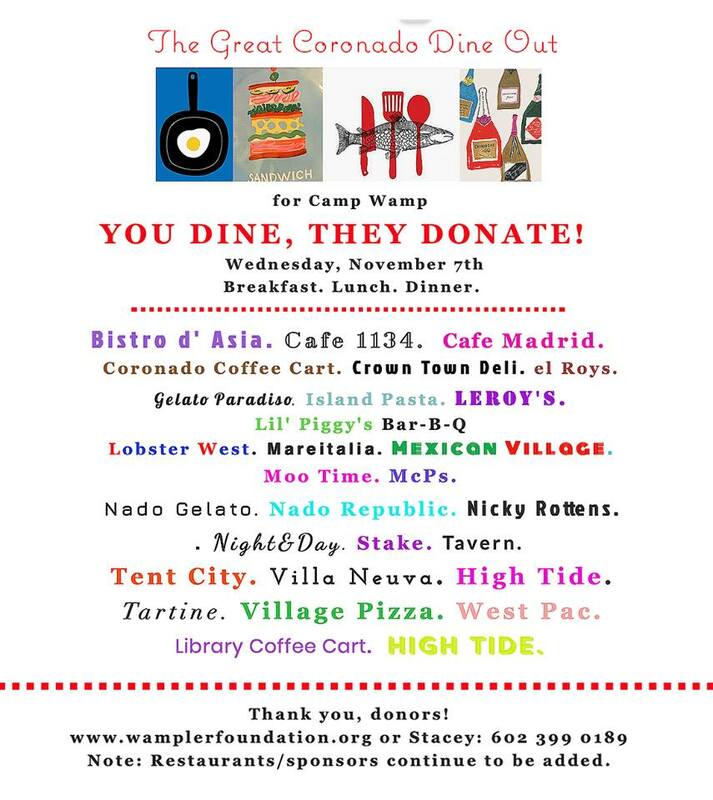 For more information on the Great Coronado Dine Out fundraiser, including participating restaurants and businesses, visit: www.wamplerfoundation.org/coronado-dine-out.